As a part of the professional development of our MAEUS students, the European Union Center offers students the opportunity for a trip to Washington D.C. in the Spring semester. This year's trip happened from March 21 to the 25. This article is Part Two of a series of posts written by different MAEUS students. 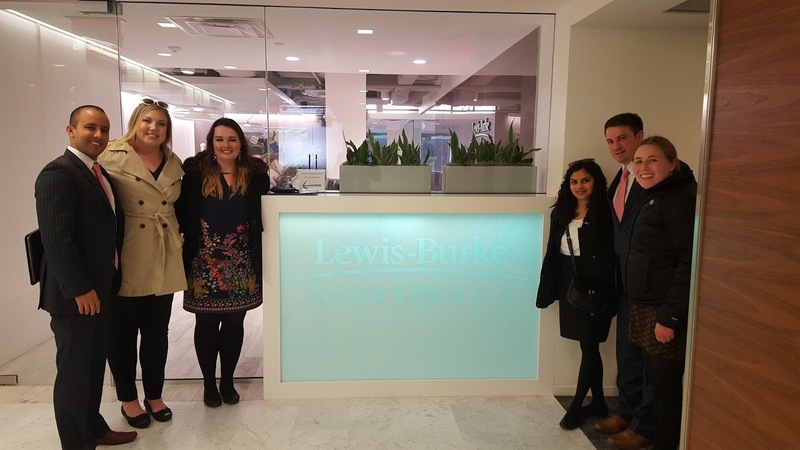 In this article, MAEUS student Victoria Bauer discusses the trip to Lewis-Burke Associates lobbying firm. Previous entries in the 2017 series can be found here. Entries about past DC Trips can be found here. For the week of March 21st, myself and a few of my fellow MAEUS students were in Washington DC to explore and interact with a few key people in different agencies both in the private and public sector. 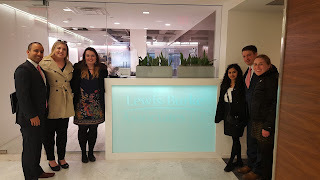 In our packed schedule, we met with the Lewis-Burke Associates, a lobbying firm, on our third day of the trip. Of the meetings we had on our trip, this was one of my favorites. In case one is not familiar, lobbyists are people who influence legislators in the federal government to help their clients. 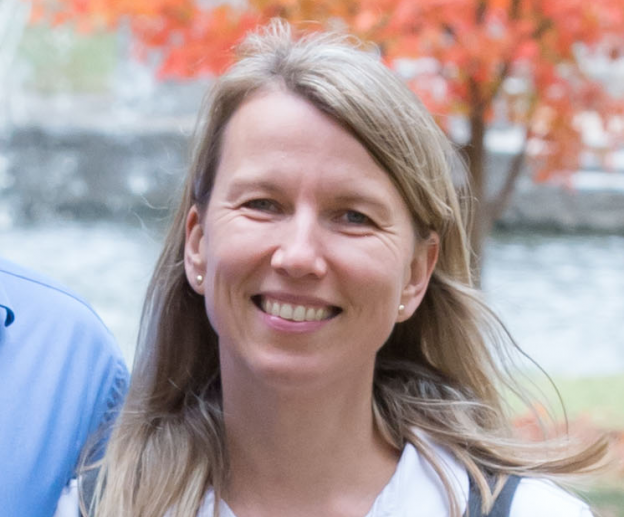 Mainly Lewis-Burke works with tier 1 universities (UIUC is one of them) and other research institutions. 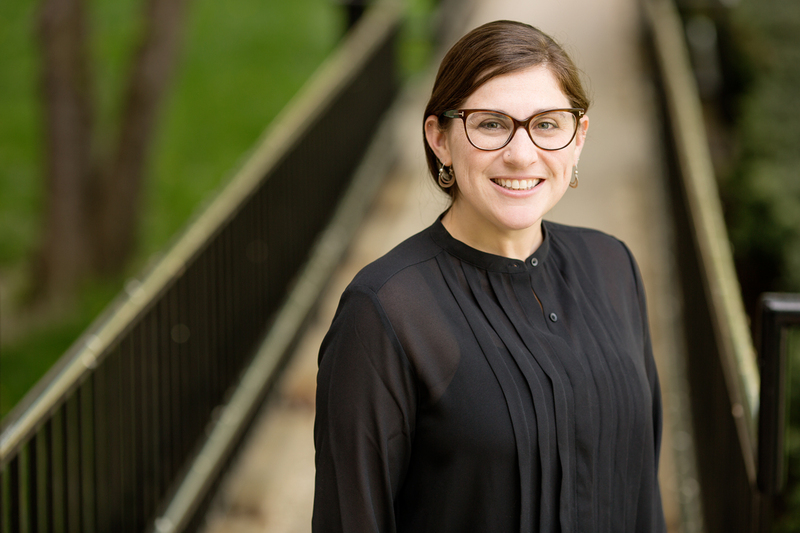 Of those research institutions, the majority are for science, and I bonded with Lauren and Ben (whom we met) on how I grew up near one of their clients, FermiLab. During the meeting, we asked Lauren and Ben about personal career advice, the difference of working in Washington in the private sector rather than the public sector and the impact of lobbyists in higher education. Before this trip, I never realized how important lobbyists and research were to higher education and other scientific research institutions. What really stood out to me was that Lewis Burke Associates consider themselves advocates for their clients when asking the government to obtain funding for projects and programs. 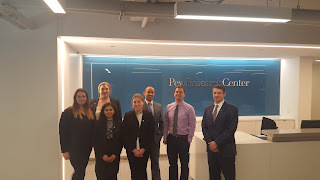 They are a firm that must research and know about the organization they are advocating for to the government so that the organization can obtain federal funding. Thanks to them, universities like ours are able research and produce wonderful results we can share with the world. 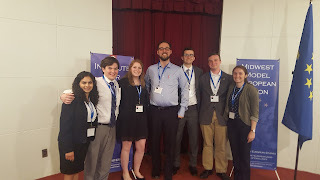 Overall, this meeting was productive, and I enjoyed it not only because of what lobbyists can do for universities like ours, but because it gave me a sense that research is important, even the research I conduct as a MAEUS student. 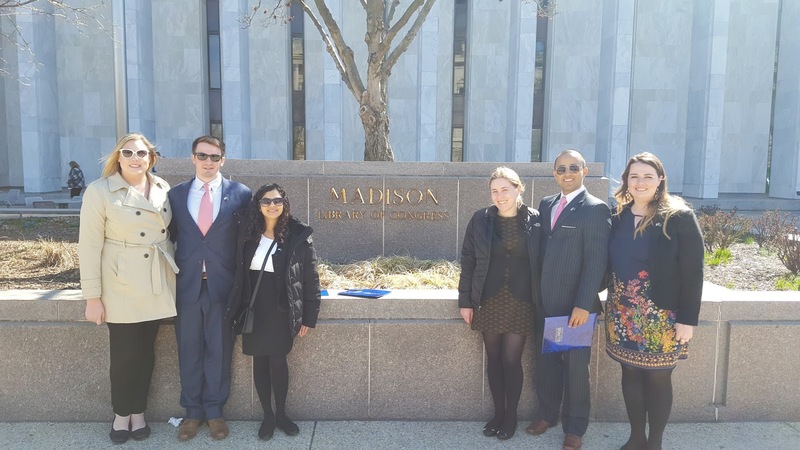 EUC Washington D.C. Trip 2017: Part One- EU Delegation to the U.S.
As a part of the professional development of our MAEUS students, the European Union Center offers students the opportunity for a trip to Washington D.C. in the Spring semester. This year's trip happened from March 21 to the 25. 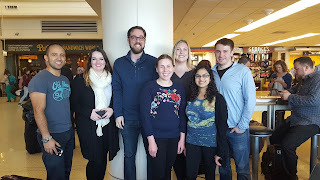 This article is Part One of a series of posts written by different MAEUS students. In this article, Marshall Janevicius writes about the trip to the EU Delegation to the United States. On March 22, 2017, a group of six MA students and Professor Neil Vander Most toured the EU Delegation to the United States in Washington, DC. 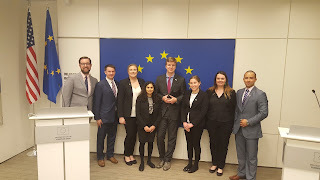 We were fortunate enough to meet with Martin Caudron (Senior Communications Officers) and Marc Jay (First Secretary); we also met briefly with David O’Sullivan (Ambassador) who attended the EU Center’s EU Day in March 2017. 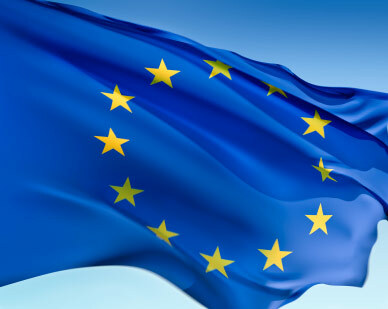 The EU Delegation to the United States opened in 1954 and now has around one hundred staff members working in the United States. The EU has 140 delegations around the world making it the fifth most internationally represented institution in terms of delegations. The EU-US relationship has grown over the years, along with the number and breadth of the EU Delegation’s missions. The EU Delegation takes part in all official dialogues between the EU and US. Some of the other duties of the delegation include EU-US summits (usually two per year), energy forums, cyber security working groups, official visits, and compiling grants and service contracts. 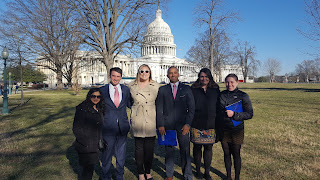 The EU Delegation works in tandem with many other agencies and delegations in Washington, DC. They have many contracts with local think tanks, like the European Institute think tank. The delegation has also been working closer with individual EU member state delegations in recent years. By working closely with member states, delegations for the EU and member states both can increase their bargaining power during negotiations. Another responsibility of the delegation is to continually reinforce the importance and relevance of the EU to the US. 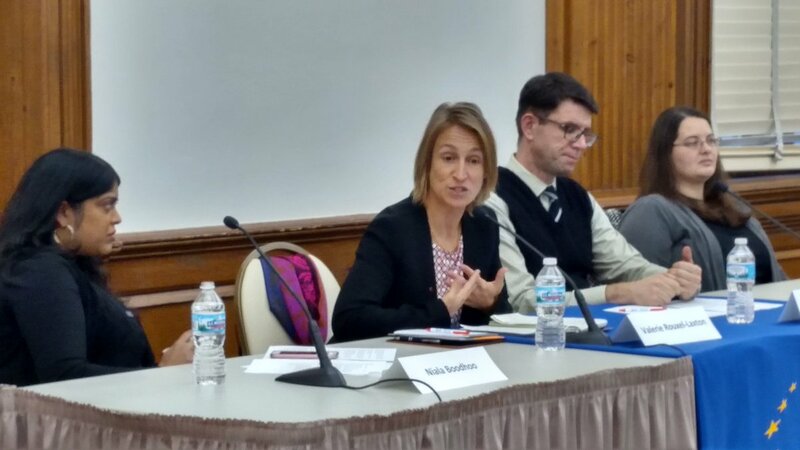 There are many barriers and difficulties in promoting EU-US relations at times due to the lack of knowledge that people have of both institutions. Caudron explained that it is sometimes difficult to initiate this dialogue about their relationship, but once the dialogue begins, it is often quite easy to find and share similarities between the two. The meeting with the EU Delegation was very beneficial for our group. It was a unique opportunity to have candid conversations with high-ranking individuals while also receiving a glimpse into the ever-changing environment of the delegation. 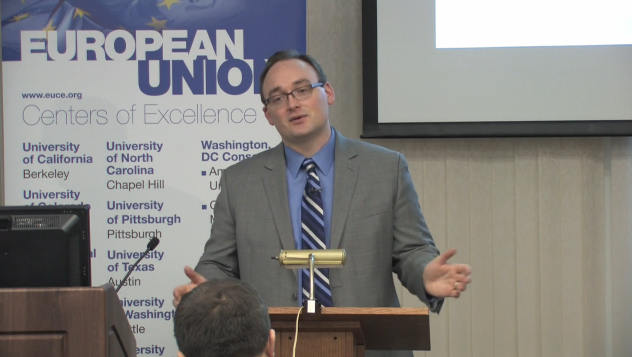 On March 15, 2017 the University of Illinois at Urbana-Champaign and the European Union Center had the pleasure of hosting David O’Sullivan, the Ambassador of the EU to the US. 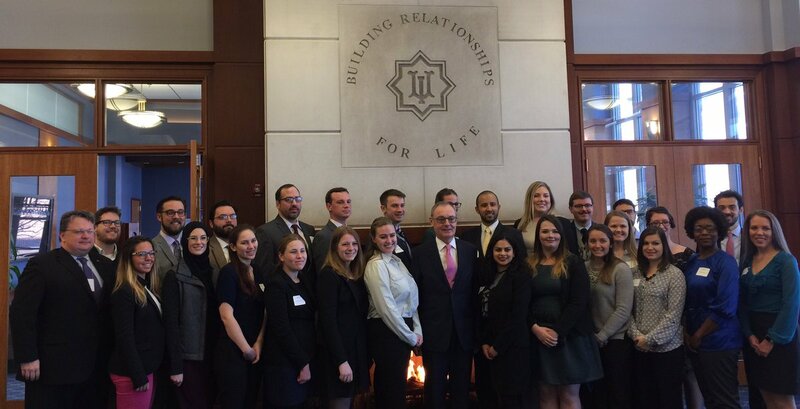 Before the ambassador’s address to a large crowd of students, faculty, and visitors to the University, he met with graduate students in EU Studies (MA in EU Studies) and the EU Center’s FLAS Fellows. During the meeting, he addressed a variety of topics, including the refugee crisis in Europe and how the 2016 US elections and Donald Trump’s presidency have altered the traditional ways of transatlantic relations. Because the meeting was off the record (“No tweeting!”), I will not go into detail on what the ambassador said. However, I will say that this was the most fascinating part of the day. Not only did we get to hear the ambassador answer our own questions, but we had a candid and frank discussion on a wide range of issues. After forty-five minutes with the ambassador, we ended our private meeting to prepare for his main address. In that speech, he gave his views on the state of the EU today, seventy years after the Marshall Plan’s establishment. In short, today’s EU would have been almost unimaginable back then. 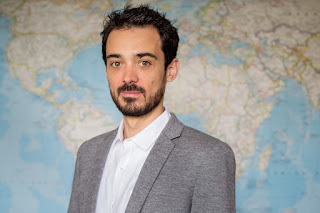 However, though the EU has made great strides in promoting peace and unity in Europe, the EU has been deeply affected by the economic crisis, which exposed problems in the EU’s financial system, as well as the refugee crisis and Brexit. Nevertheless, the EU has overcome many challenges in the past and has adapted to each one, and the EU will continue to do the same in the future. 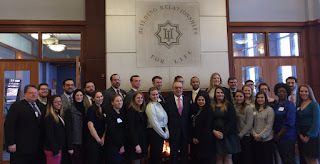 The day wrapped up with a reception for Ambassador O’Sullivan, several other dignitaries in attendance, faculty, staff, and students associated with the EU Center. All of these guests were mixed together at the tables. The conversation at my table ranged from my thesis, to what living in Washington, D.C. is like, to different styles of religious music. It was tremendously enjoyable to hear everyone share what they study and what brought them to EU Day. EU Day is one of my favorite events of the year. The private meeting with Ambassador O’Sullivan was a great opportunity because we got to hear him answer our questions at length. His main address put the EU’s most pressing issues today into the context of where the EU has come from and where it hopes to go. The reception was a wonderful opportunity to both share what I am learning and hear about fields completely different from mine. 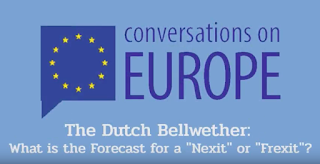 The day was full of good food, good people, and perhaps the best opportunity of the year to hear about everything the European Union and the EU Center have to offer.